When it’s about banking, SBI is the most trusted and preferred bank in India. Every year many aspiring candidates prepare for the bank exams under State Bank of India to make a career in the banking sector. SBI is a government owned corporation having headquarter in Mumbai, Maharashtra, it has 18.354 branches in India. Under Pradhan Mantri Jan Dhan Yojana SBI has opened over 3 million accounts which include 2.1 million accounts in rural areas and 1.57 million accounts in urban areas.SBI is the largest bank in India having branches in foreign countries including China, USA etc. The first presidency of SBI was built in Kolkata in the year 1806 by the Britisher’s and it was named as Bank of Bengal. State Bank of Madras in 1843. State Bank of Bombay in 1840. After the implementation of paper currency act in 1861, these three banks had exclusive rights for the production of paper currency. In 1921 these three banks (Bank of Bengal, State Bank of Bombay and State Bank of Madras ) were merged to form Imperial Bank of India. 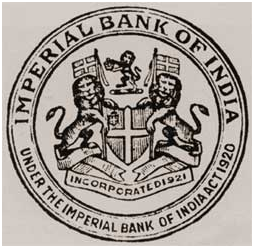 Imperial Bank of India was acquired by RBI (Reserve Bank Of India) in 1955 and renamed as State Bank of India. In 1959 SBI had eight associate banks. Among these 8 banks, State Bank of Jaipur and State bank of Bikaner merged to form State Bank of Bikaner and Jaipur in 1963. In 2008 State Bank of Saurashtra merged with State Bank of India. State Bank of Indore also merged with State bank of India in 2010. SBI has 190 foreign offices in 36 countries. SBI is the first bank of open an ATM at Drass in the J & K Kargil region. 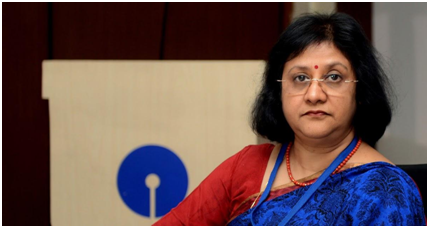 Arundhati Bhattacharya is the first women chairperson of State Bank of India. If you have decided you want a career in banking sector then SBI is the best bank to work with, prepare yourself with the facts which can be asked in the upcoming bank exams under SBI before you apply. Brojesh Baidya is a content writer by profession with a degree in Engineering. In addition to writing, he likes to compose music of his own. He is presently exploring all about the digital education with Byju’s-the Learning App.